You may be like no way lass your hair isn't even blonde yet why you talking about these Lee Stafford Blonde shampoos and conditioners. 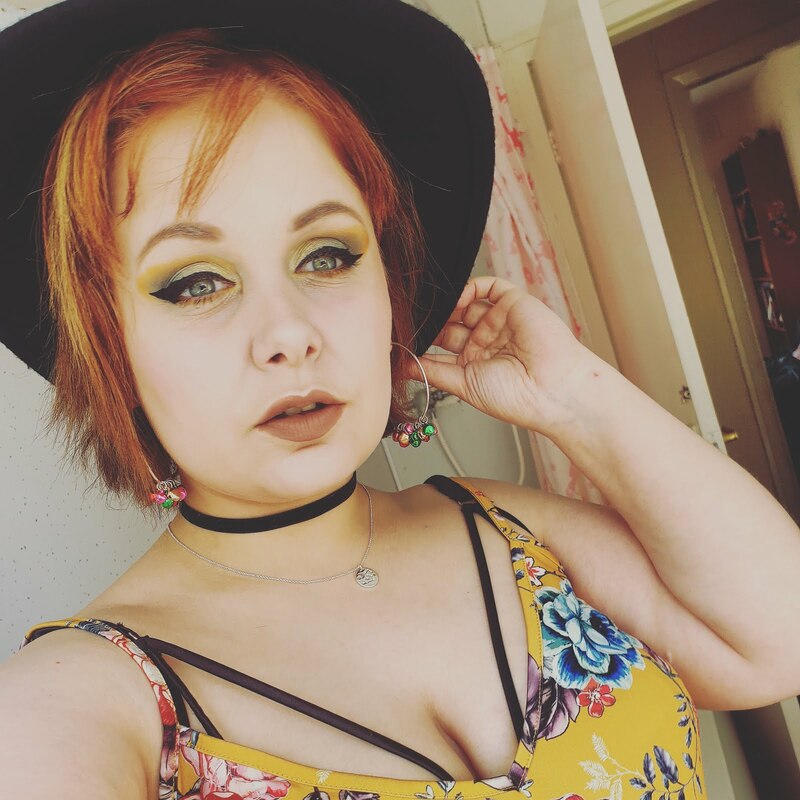 Well, I am on the road to going back blonde- I am about 50% there as a lot of my hair is now highlighted, by my next hairdressing appointment my hair will be a strawberry blonde with a burst of light blonde highlights. But until then I will be using blonde haircare products on the journey from here and beyond. 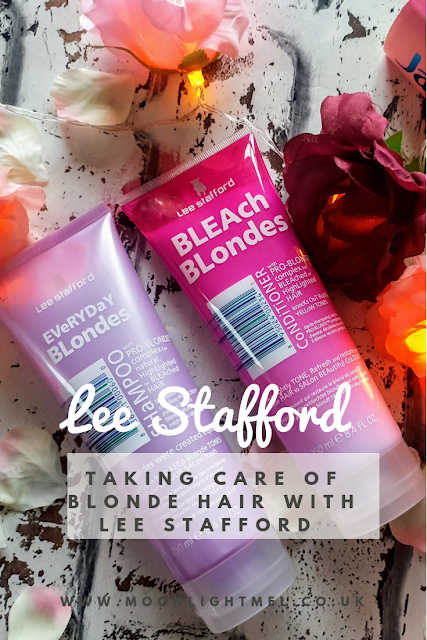 Lee Stafford is a UK based haircare company and they sell a variety of products such as hair straighteners, shampoos and conditioners. 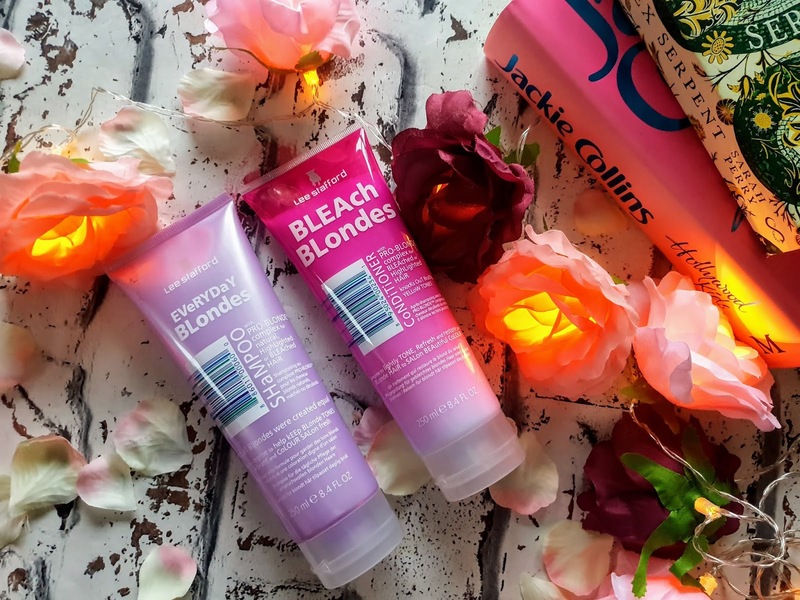 They have different haircare ranges including this one which is for bleach blondes and others including coco loco and cactus. So both products come in nicely designed pink bottles and each contains 250ml of product which is generous for the price which is £6.99 each. 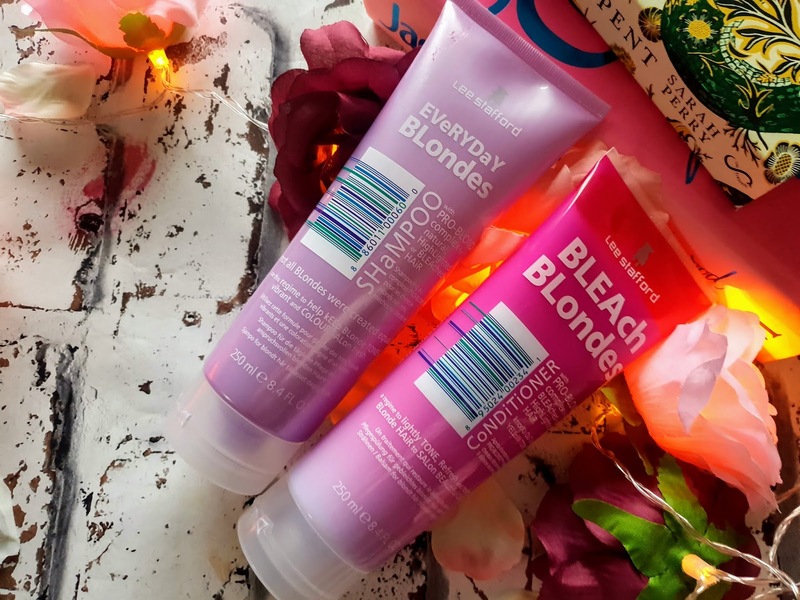 With blonde bleached hair, it is important to use a silver shampoo to tone the hair and keep the colour and shine for longer and most of all keep brassy tones at bay. These products are designed for toning, restoring, cleansing, moisturising, UV protection and also enhances shine. They both have a lovely refreshing floral scent which I love, not only is the scent lovely but it lasts on the hair for up to 2 days. The shampoo is a little thicker than most purple shampoos I have tried before so its a lot easy to use without making a mess. I like to keep it on for a good 5 minutes so it can work its magic without making my hair violet. As for the conditioner, it has a similar scent and as with the shampoo I like to keep that on for a good 5 minutes since my hair has been bleached a fair few times. They both work together in harmony and both works wonders on my hair keeping brassiness at bay and keeping my hair looking soft and healthy. Cactus Crush Dazzle Drops - Keeps my hair moisturised before styling my hair with heat products. Which hair products are your favourites?